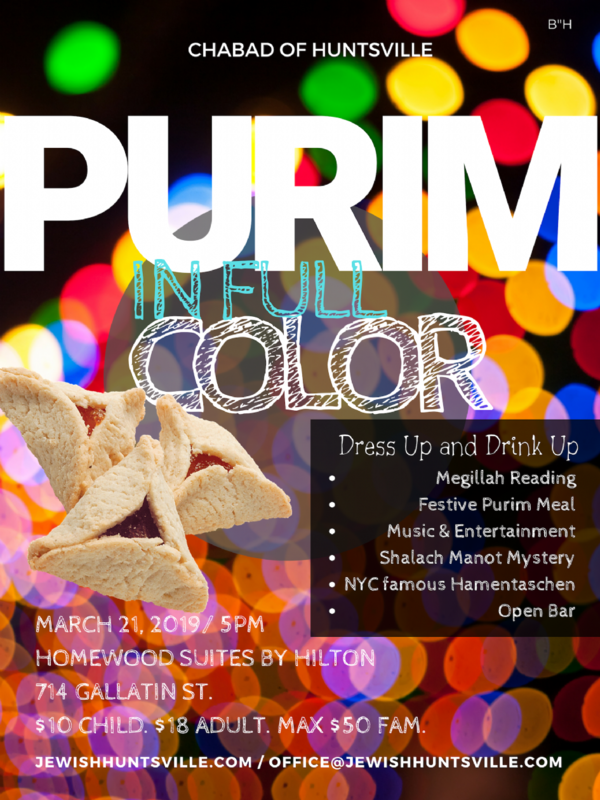 It's A Purim Party In Full Color! Celebrate the miracle of Purim! 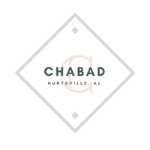 Join Chabad of Huntsville as we throw a Mega Purim Party themed as Purim In Full Color! Come dressed up in the spirit of this holiday. We will have a Megillah reading, dinner, entertainment and more! Please take a moment to RSVP below and save the date on your calendar! What is Purim? Take a moment to learn about it by clicking here. When? Thursday, March 21, 2019. Advanced RSVP is greatly appreciated!